QuickBooks Online (QBO) doesn’t operate as a completely, stand-alone accounting solution. It has functional limitations. 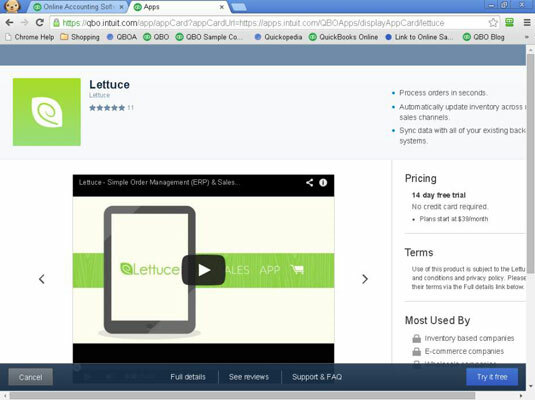 You can use Intuit add-ons to achieve more functionality in QBO. 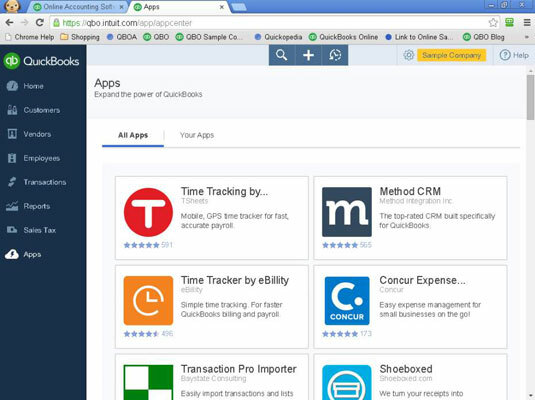 But those aren’t the only apps available for QBO; third-party developers have been creating apps to enhance the functionality of QBO. And, over time, you can expect more apps to be developed. You can click the Apps link in the Navigation bar that runs down the left side of QBO to visit the App Center and explore available apps. Click any app to navigate to a page that describes the app and provides pricing information. But apps are making inroads to eliminating these limitations.